The first factory which have self built laboratory in Digital Printing industry. With Advanced Color Management System,matching the international color quality standard. All imported equipment , guarantee same quality of mass production. Strong daily production capacity,fast delivery, 24-hour uninterrupted production. Eight years oversea experience sales team,serviced global customers. Unique services for our users: We provide pro-sale, on-sale and post-sale integrated services. 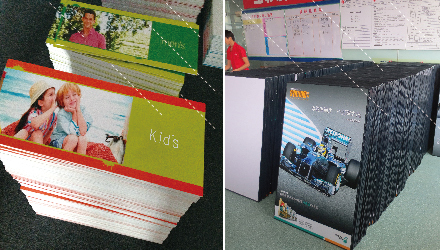 Top 100 Chinese Digital Printing Enterprises,Top 10 Digital Printing Company of Guangdong .We specialized in Advertising Printing&Display equipment products oversea business,the core parter of Japan Roland. 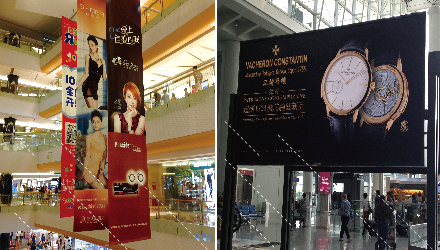 Applied to 4 s shops, conference and exhibition center, mall atrium double suspension advertising, stores activity hanging flags, commercial promotion background cloth, commercial exhibition publicity, etc. backUsed in stores, specialty stores, airports, subway, railway stations, museums and other places of the ground or floor, metope adornment personalized advertising, hotel decoration, household decoration. Widely used in supermarkets, exhibition, advertisement decoration, culture wall, logo signs, exhibition board, display panel.High hardness, not afraid of pressure, pretty good, can use for a long time, stable quality, mounting for a long time no bubbles. 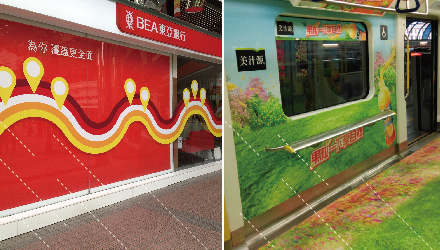 Used for exhibition, shopping malls, stores, airports, subway,Banks such as exhibition, commercial promotion background, commercial exhibition publicity, etc. Shengcai company was founded since 1997, specialized in Graphic Design, Advertising Printing & Display Equipment Business.Factory founded in 2004,Shengcai printing is a famous brand in Guangdong Province.We have 3 divisions: Shengcai Advertising CO.,Ltd(Shenzhen Operation Center, Beijing Office), Lianqiang Exhibition Display CO.,LTD. (Shenzhen Operation Center,Foshan factory,UV Print and and Acrylic Division in Shenzhen Bantian ), Sheng Hong Trading Company Limited (Overseas Department , Hongkong Office). Indoor advertising printing posters: graphic paper, self adhesive vinyl,backlit film, PET Korea backlit film printing,removable self adhesive vinyl, PP Vinyl,PVC Film, waterproof white canvas,transparent removable decals/clear film, portrait cloth, silk cloth, canvas, gold foil,silver foil, rice paper etc. ECO-solvent outdoor printing: frontlit vinyl banner, backlit vinyl banner , Knife Coated Banner,outdoor self adhesive vinyl, magnet sticker,static sticker, car body sticker, one way vision sticker, mesh banner, outdoor backlit film, ECO PET Korea backlit film printing, double sides hanging banner, floor sticker, wallpaper,PU leather,flag banner. 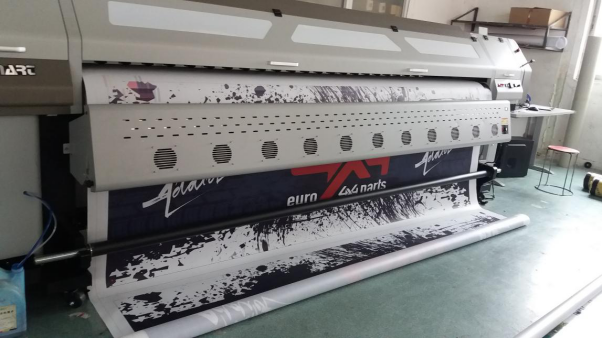 UV printing: UV backlit films, UV Knife Coated Banner, UV sticker print, UV clear sticker, UV light box soft film, import UV 3P flex banner. 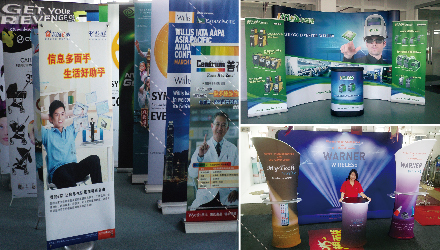 Display equipment: Display board (KT board, mounting board, PVC board, paper board, corrugated board etc), X-banner stand, Korea X-banner stand, door shape banner stand, flying banner stand, Teardrop beach flying stand,rollup banner stand,pop up display,easy show system,Tension Fabric Display, promotion table, L banner stand, standee, poster stand etc. Commercial display props: display props, acrylic products, POP display products, showcase display, Commercial promotion display. road show construction, business tour project, Truss rental construction, exhibition tour project. Innovation products:double sides mesh banner, printing and diecut sticker,double sides banner,no bubble sticker,high copy art craft.